Usually a crown takes two visits: on the first visit, the tooth is prepared by being shaved down somewhat. An impression is taken of your teeth, and this impression is sent to a laboratory where your crown will be made. Meanwhile, you wear a temporary crown made with some type of plastic material. On your second appointment, the temporary is removed and the durable crown is placed on your tooth. This diagram shows the concept of a dental crown. The tooth is reduced in size to allow for complete coverage by the ceramic crown material. The cut-away ceramic covers the entire tooth, all the way around, usually down to the gumline. Technology available in the offices of some cosmetic dentists enables them to provide “Computer-assisted design-Computer-assisted manufacture” crowns, or “CAD-CAM.” The company that is foremost in this technology is CEREC. This crown is milled by a computer to fit your tooth precisely, thus eliminating the laboratory step in manufacturing the crown. 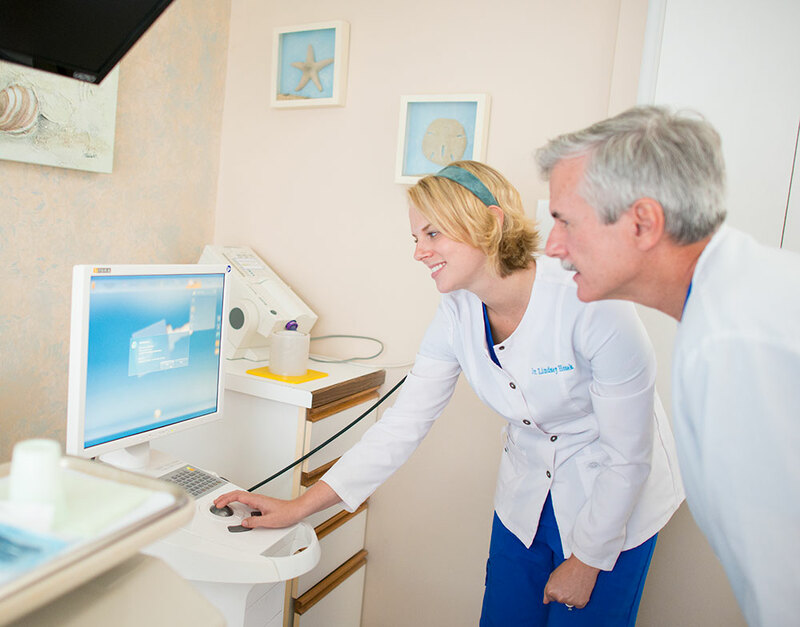 With CEREC’s CAD-CAM technology, the crown is made by a computer while you wait, thus eliminating the second appointment and the temporary crown. These CEREC crowns are milled out of pure ceramic. Cerec enables us to remove only the bad or broken part of your tooth. This is healthier and more conservative with the ceramic usually above the gumline. A CEREC appointment can take around 2 or 3 hours. Most of the time is spent waiting for the milling unit to “print” your crown. During this time you are free to explore the office or watch TV. Make An Appointment for Cerec Crown Today!